Old Town Oasis - Walk to Spring Training! 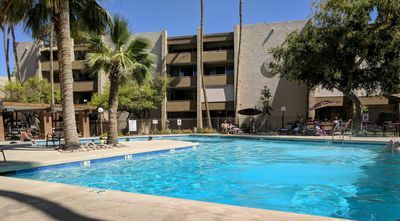 The Old Town Oasis is a private, quiet, clean, relaxing retreat in the midst of the hustle and bustle of Old Town Scottsdale. 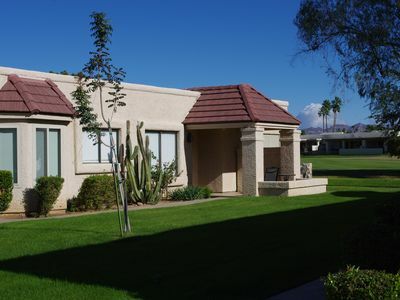 It is a ground floor, end unit with concrete walls and ceilings for extra privacy and quiet! 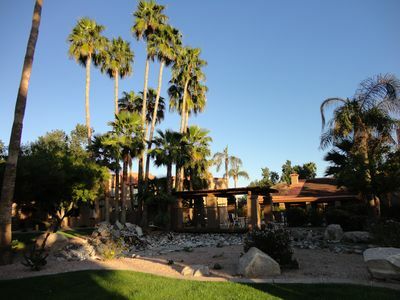 Walk to Spring Training, entertainment, restaurants, bars, and shopping galore! 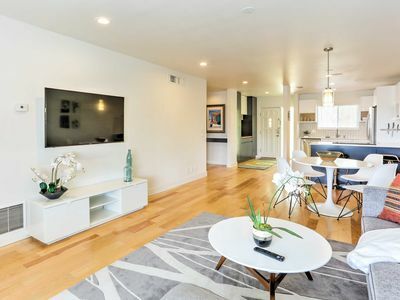 Then relax in the quiet comforts of home with super comfortable high-end designer furnishings and fixtures, sound-resistant windows, blackout window coverings, and a myriad of sleeping options. Plus new carpeting installed Aug 2018! Unbeatable location! Across the street from a convenience store (seriously, ~200 feet from the front door - and it's nice! 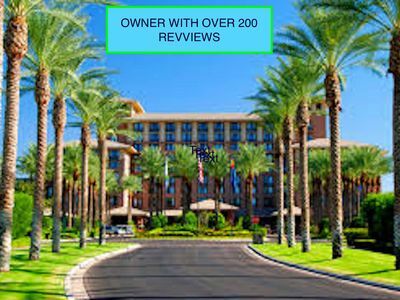 ), a Sprouts farmers market grocery store, coffee shop, bakery, restaurants, sports bars, bike rentals, barber shop, salons/spas, massage, T.J.Maxx, Petsmart, too much to list! 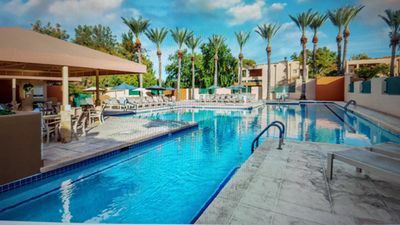 Less than a mile walk to... Scottsdale Stadium, Scottsdale Fashion Square Mall, Downtown Scottsdale, Entertainment District, Camelback Park/greenbelt, Continental Golf Course, and endless dining, shopping, and entertainment options. 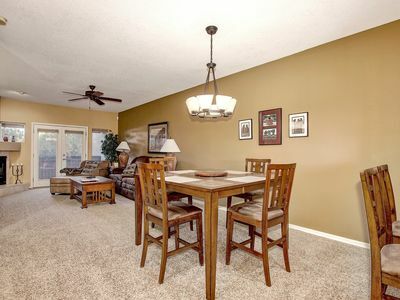 9 miles/15 minute drive to Sky Harbor Airport. 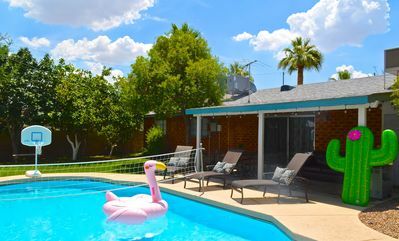 The Arizona room is a wonderful transition room between the ridiculously comfortable living room and the cozy patio. 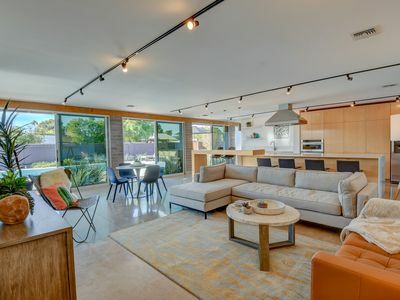 It is surrounded by glass walls to let all of the beautiful Arizona sun in, but keep the heat (or cold) out. 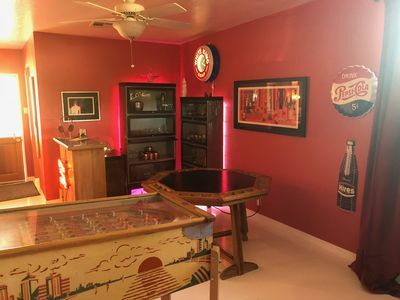 It can also be used to give you a little bit of privacy from the rest of your crew in the living room, without completely excluding you from all the festivities. Or you can use it as a 3rd bedroom by pulling out the queen size sofa sleeper! Enjoy the added benefits of not having to carry keys with our smart lock. You can download the app and use your smartphone as your key, or you can use the keypad if you prefer. The convenience continues with voice activated home automation. Just ask Alexa... "turn on/off the living room light" "where is the nearest grocery store?" (it's across the street by the way) "where is the sushi restaurant?" (again, across the street) "what tomorrow's weather forecast?" "what's the traffic like on the way to the airport?" "play Jeopardy!" "set a timer for __ minutes" "play 70's music" and so much more! We have in-unit laundry and provide detergent, etc, as well as an iron and ironing board. We also have one covered, assigned parking space and lots of unassigned parking. 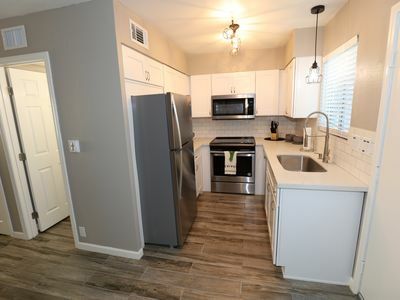 You will have access to the sparkling, heated community salt water pool, hut tub, (2) gas grills, (2) gyms, clubhouse, community laundry, and billiard room. And we're always happy to share our baby/kid gear upon request. Portable crib, high chair, toys, infant tub, bouncers, you name it. Just ask, we probably have it. SPRING TRAINING ! 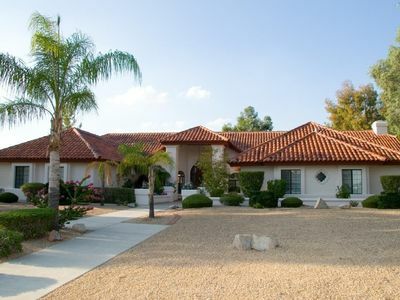 LUXURY HOME PRIVATE OASIS BEST LOCATION!!! ! BOOK ME NOW! 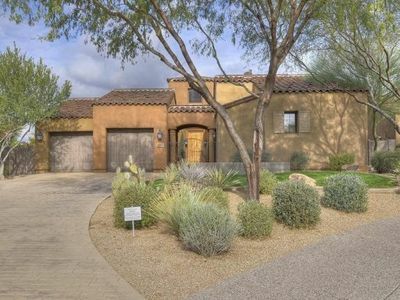 'SWINGING BRIDGE' Gated, Golf Course Home. 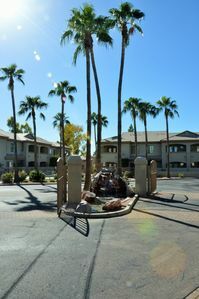 Chic Scottsdale Condo w/Pool - 5 Mins to Old Town! 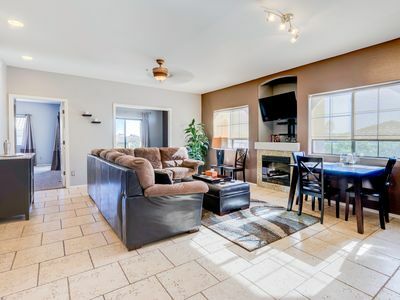 Freshly Remodeled Townhouse in Old Town Scottsdale! 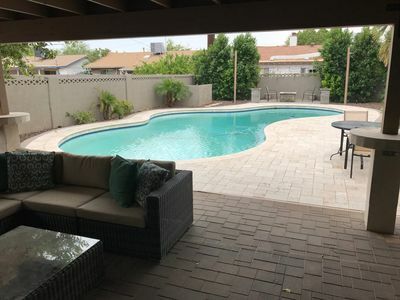 Private Resort in Old Town Scottsdale!! 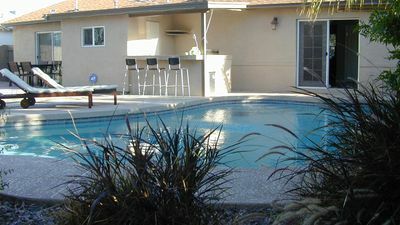 Heated Pool, Putting Green, Pool Table! 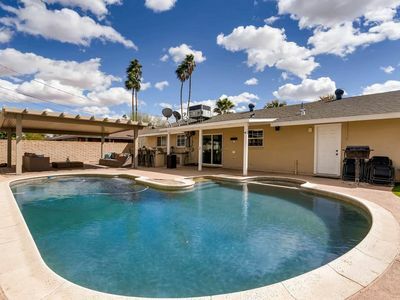 HEATED POOL+FIRE PIT! WALK TO OLD TOWN! SLEEPS 16!